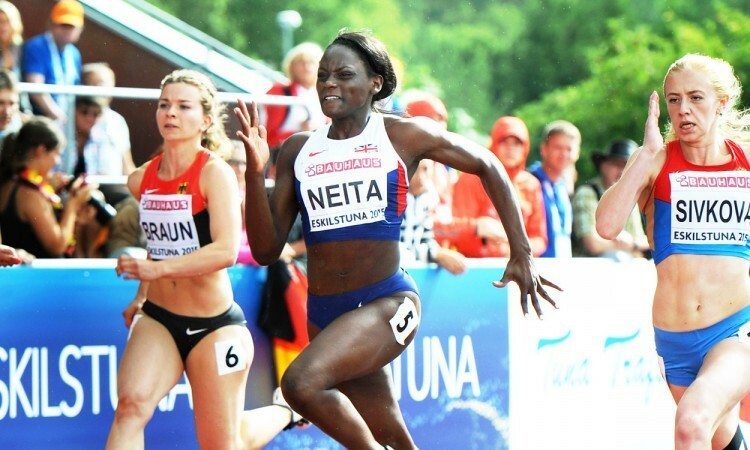 Three titles were decided as European Junior Championships action got under way in Eskilstuna, Sweden, on Thursday. Poland’s Konrad Bukowiecki had gone into the event as a dominant force in the men’s shot and the 18-year-old lived up to his billing as favourite, breaking the championship record set by David Storl with his 22.62m PB. That winning throw came in the third round as he went over 22 metres twice and had four throws over 21 metres. All bar one of his throws would have been enough to win ahead of Romania’s Andrei Toader, who secured silver with 20.78m, while bronze was claimed by Italy’s Sebastiano Bianchetti with a 20.71 PB. On the day that the Russian athletics federation announced that the nation’s race walkers would be withdrawn from all international competitions until a doping investigation into coach Viktor Chegin is complete, Klavdiya Afanasyeva led a Russian clean sweep of the medals in the women’s 10,000m race walk to take the first title of the championships. Clocking 43:36.88, the junior European Race Walking Cup champion enjoyed a clear victory ahead of world youth champion Olga Shargina with a 44:01.08 PB. Bronze went to Mariya Losinova who crossed the line in 44:07.44. Britain’s Emma Achurch clocked a 26-second track PB of 50:51.58 for 22nd. Italy’s Pietro Riva got the gold in the men’s 10,000m, clocking 30:20.45 to beat Germany’s Fabian Gering with 30:20.69. Next over the line was Belgium’s Dieter Kersten as he beat his twin brother, Maarten, to bronze – 30:21.85 to 30:24.69. GB’s Jack Rowe, who had formed part of a group of nine at the front for much of the race, was dropped with two laps to go but clocked 30:35.39 in eighth. Great Britain will have three athletes in the men’s 100m final and two in the women’s on Friday as all five team-members safely made it through. Ojie Edoburun (10.32), Reuben Arthur (10.39) and Joseph Dewar (10.47) went quickest in the first round before British bronze medallist Edoburun eased through his semi-final with 10.44 and Dewar won his race in 10.54. A time of 10.79 to place third in the first semi final also saw Arthur progress. After winning their heats – Darryl Neita the first in 11.51 and Imani Lansiquot the fifth in an 11.56 PB – the two sprinters also secured their spots in the final after respective semi-final times of 11.58 and 11.69. Quickest in both rounds was Poland’s Ewa Swoboda. Similarly, all three of GB’s female 400m representatives will feature in Friday’s final as European leader Laviai Nielsen and Cheriece Hylton went quickest in the first round with 53.52 and 53.99 respectively, while Laviai’s twin Lina clocked 54.35 to also progress. “I hope we can do a one-two-three tomorrow, that would be really cool as we’ve got a really strong 400m this year, which is really exciting,” said Laviai. Denmark’s Benjamin Lobo Vedel was fastest in the men’s 400m heats with 46.87. The semi-finals take place on Friday. Defending champion Anita Hinriksdottir led the qualifiers in the women’s 800m as she clocked 2:05.01 in the third heat as GB’s Mhairi Hendry and Molly Long also booked their spots in Saturday’s final with respective times of 2:06.21 and 2:06.87. GB will have two athletes in the 1500m final as Robbie Fitzgibbon and Josh Kerr were among those to progress. British junior hammer record-holder Taylor Campbell, a joint captain of the GB team in Sweden, was among the athletes to achieve the automatic qualifying mark of 73.00m to secure his spot to fight for the medals on Friday. Germany’s Alexej Mikhailov went furthest in the first round with 76.74m. In the men’s javelin, GB’s Harry Hughes threw a 71.73m PB, which was enough to see him through. Russia’s Anatoliy Ryapolov leapt furthest with 7.49m in long jump qualifying. GB’s Jacob Fincham-Dukes will be among those to join him in Friday’s final after topping group B with 7.39m. Sweden’s Carolina Johnson won the first 3000m steeplechase heat in 10:25.41, while Romania’s Claudia Prisecaru took the second in a 10:26.62 PB. Switzerland’s Caroline Agnou leads the heptathlon by 154 points overnight, her 3568 points helped by a 100m hurdles PB of 13.74, a high jump PB of 1.74m and a 200m PB of 25.24.